Tiffin is one of our favorite Indian restaurants in town, and we remember back when they only had one location, on the 700 block of Girard. That location opened over a decade ago, at a time that this stretch of Girard was in pretty rough shape. In the time since Tiffin opened its doors here, there’s been considerable development to the north and south, but Girard itself is still pretty lousy. 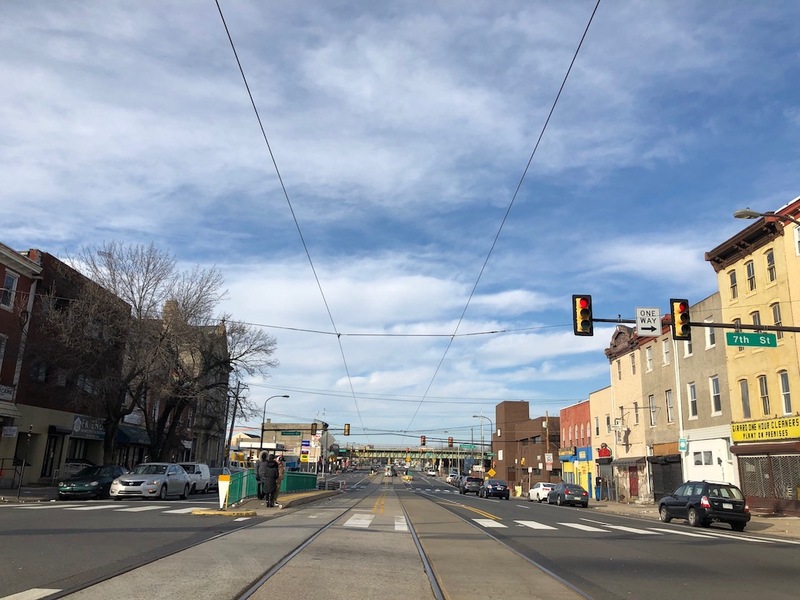 That could change soon, as a reader reached out to us over the weekend, cluing us in about two projects on the horizon on the 600 block. Let’s first look at 625 W. Girard Ave., the former Fine Fare supermarket. We’ve covered this building a couple times in the past, most recently last fall. In case you don’t feel like clicking on that link, the building was originally the Girard Theater, but the years have made its once handsome facade completely unrecognizable. The property curls around to Marshall Street, where the theater itself is still largely intact, having been used for storage for the last several decades. When we last wrote about this property, we told you that developers had bought it, closed the supermarket, and were planning demolition, but we didn’t know what they were planning in its place. 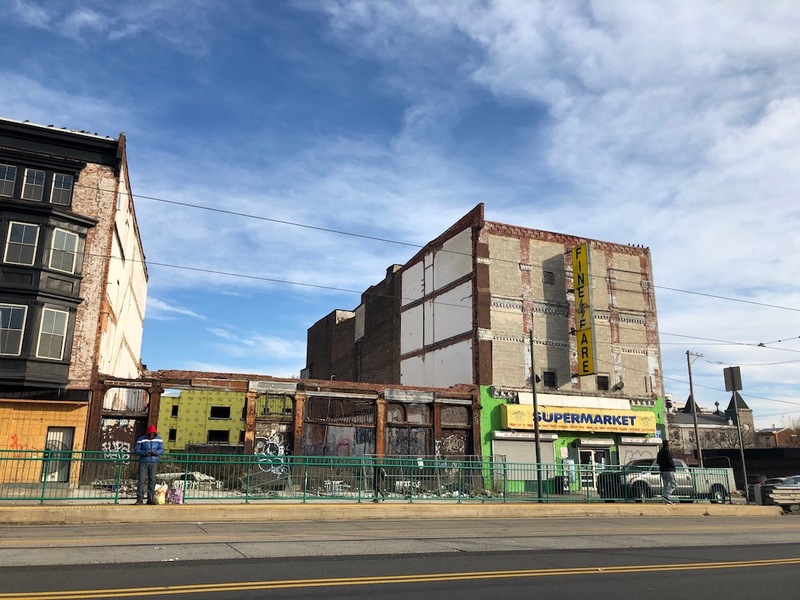 Now we know, they’ve got by-right permits for a six-story mixed-use building with 48 apartments and two retail spaces, one of which will be a fresh food grocery. Without seeing the plans, we can say with confidence that the new building’s facade will be an upgrade over the current situation at the existing building, but won’t hold a candle to what the building looked like back in the day. Next door, 629 W. Girard Ave. has been sitting vacant and overgrown for as long as we can remember. 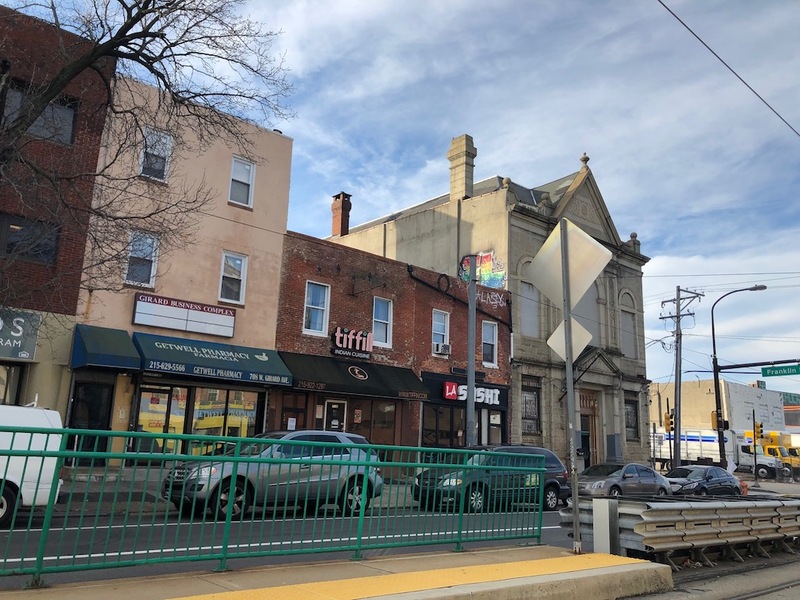 A few years back, we told you that developers were going to the ZBA with a plan to build a mixed-use building with 18 units and ground floor commercial. But that project never moved forward, though it got approval at the ZBA. New owners purchased the property in 2017, at a surprisingly low price below $200K. 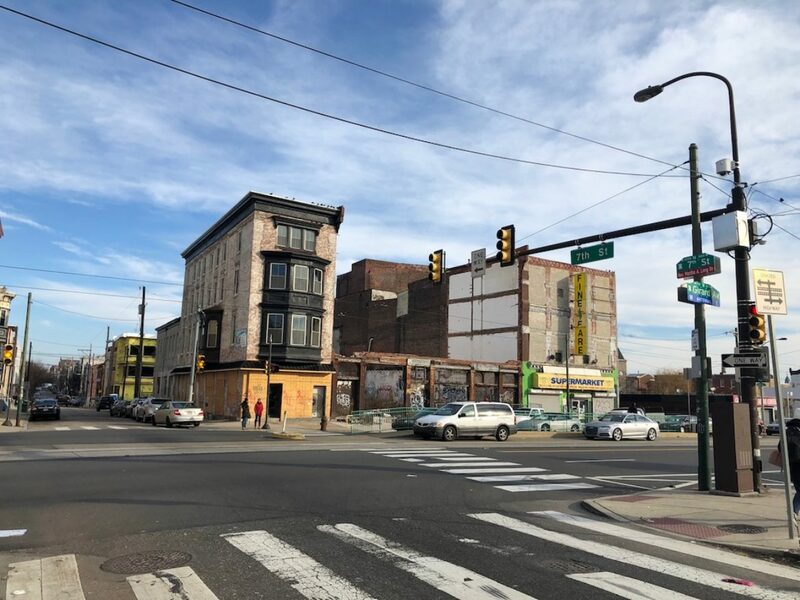 Those developers are now pursuing a plan to build a five-story building with 24 units and retail on the first floor. Like the project next door, this one is also by-right. Way to go, CMX-2.5! While we’re here, we should also mention that 635 W. Girard, a former nuisance bar at the corner, was recently renovated from top to bottom. Some of the apartments upstairs are currently available for rent, and we imagine some kind of restaurant will be opening on the first floor. As long as it’s not an Indian place, a sushi place, or a donut place, it’ll represent something new and different for the area. It’s taken a long time since Tiffin opened, and it still has a long way to go, but it seems this section of Girard is finally taking a big step forward. Does the 625 W. Girard address include the grass lot or is it an L-shape? L-shape. The grass lot is another property. +1 It actually had a really nice facade. It’s a shame it couldn’t have hung on for a few more years. Well, 10+ years, I guess….